One of the fun things about whisky is that it can reveal to you a time and place as part of its character. 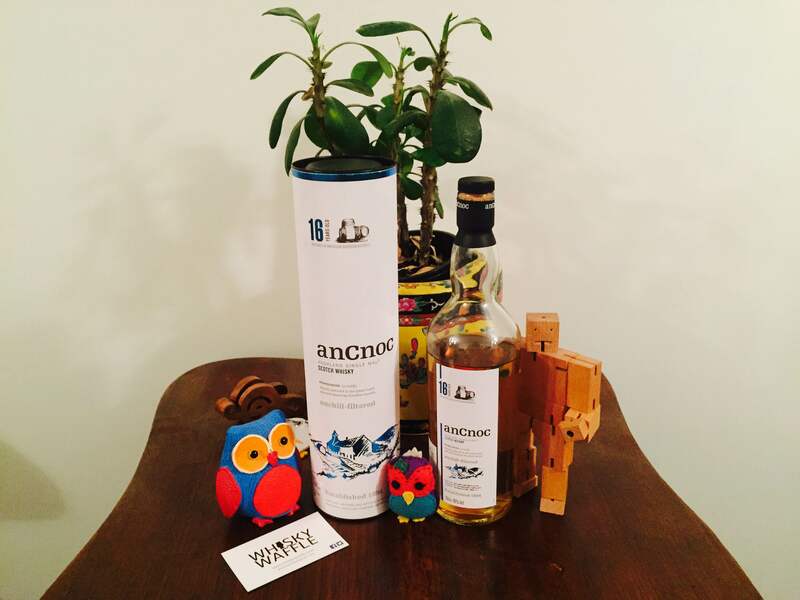 If the anCnoc 12 Year Old is a summers day, then surely its older sibling, the 16 Year Old, is the evening. Produced by Knockdhu Distillery, founded in 1894 and one of the smaller operating distilleries in the Scottish Highlands, the AnCnoc 16yo is a burnished gold in colour, darker than the straw-like 12yo. On the nose the 16yo is smooth and sweet, with no hint at all of the occasional raw alcoholic jaggies lurking in the 12yo. Herbs, particularly mint, garnish a bowl of caramelised pears in syrup dolloped on Weetbix. The taste is sharp and bright, striking the upper palate. The finish is hot and bittersweet, drying the mouth and lingering for some time afterwards. The AnCnoc 16yo is much better rounded than its younger kinsman, with maturity found through age. While the 12yo has the heat, dustiness and brashness of the day, the 16yo is the relaxing warmth of the evening. A perfect companion to watch the light fade on a clear summer night. 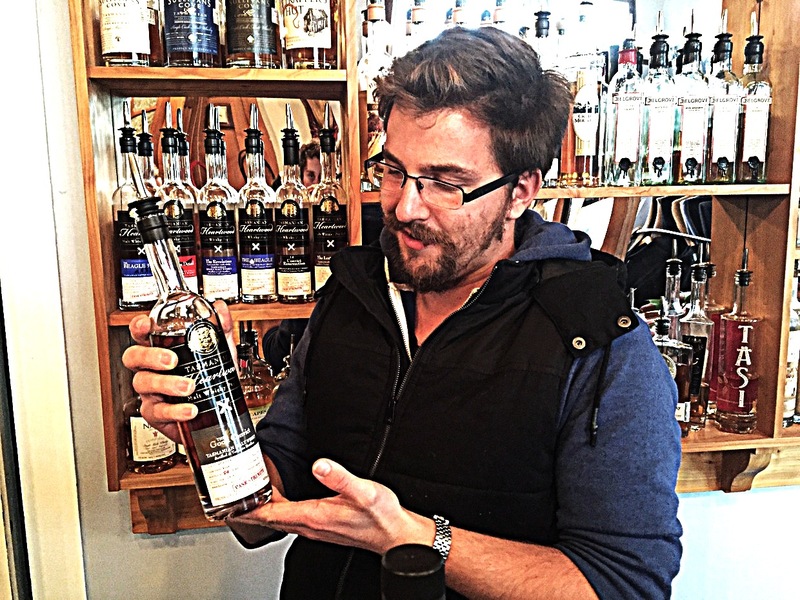 Regular readers of this blog would be forgiven for thinking that all of Australia’s world class whisky is produced in my home state of Tasmania. 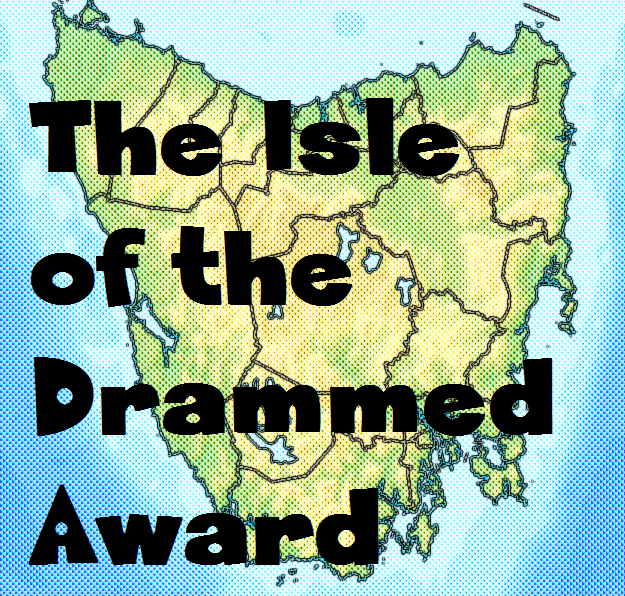 While I’ll still claim that most of it is, I will readily admit that some stellar drams are being produced on that tiny island up north, which some refer to as the Australian mainland. One of the most exciting up-and-coming distilleries in the New World of whisky making is the appropriately named ‘New World Whisky Distillery’, which has been releasing whisky since 2013 under the name Starward. And there is a lot to like about it. For a start, there’s the location. New World is based in Melbourne, the cultural hub of the country (sorry Sydney), and with a bar onsite at the distillery the city has gained a wonderful venue to sample spirits straight from the metaphorical horse’s mouth. Secondly, there is the label. 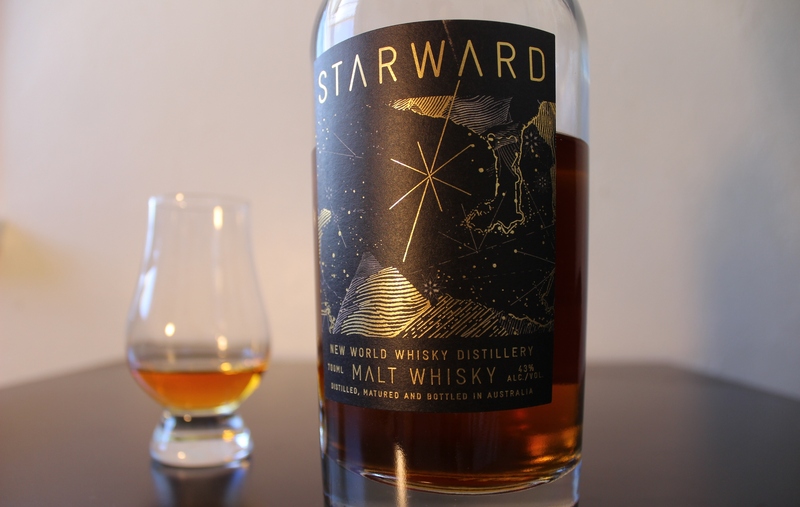 Starward is an alluring name for a whisky and the gold constellations streaking across a black background capture this image perfectly. 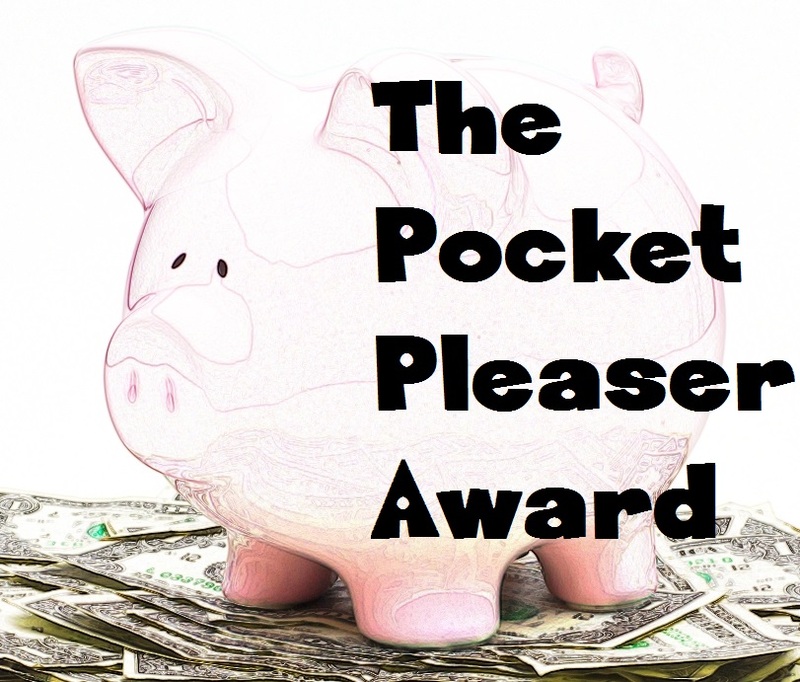 Thirdly there is the price. Australian whisky has the reputation for a remarkably full-bodied flavour, although at an equally remarkable full-bodied price. Starward bucks this trend, providing a local drop that will not break the bank (although perhaps dent the wallet a bit). Finally, and unquestionably most importantly, there is the flavour. On the nose it is lively: this is a young whisky, but it is far from immature. There are notes of oranges, chardonnay and toffee. No doubting the country of this whisky’s origin. On the palate there are certainly notes of the raisiny flavours emparted by sherry barrel maturation, although technically speaking, the barrels contained Apera: sherry made in Australia not Spain. Sweetness spreads across the tongue and the orange returns, this time with chocolate, giving a jaffa-like taste. I also picked up elements of glacé cherries and raspberry shortcake. As you do. The finish is short, but not disappointingly so. There are hints of oak to be found as well as spicy, peppery elements. It is certainly pleasing enough to encourage a second sip! While the Starward is not the most subtle or nuanced whisky you are ever likely to come across, it is undoubtedly really pleasant to drink. The distillery itself sums it up best with its claim: “Just like the country in which it is made, Starward is youthful, rich and bright”. Here at Whisky Waffle we don’t take our rating system too seriously. We’re certainly a far cry from individual nose-ratings, and can barely count to 100, let alone score out of it! We are far more, in a word: wishy-washy (yes, ok, that was two words, but like I said, we have problems counting). For some people however, wishy-washy doesn’t cut it, and a nice tangible score out of 100 is the way to go. One such man is Jim Murray, who did not quite squeeze into the quartet of Matthew, Mark, Luke and John and decided to write his own bible. About whisky. 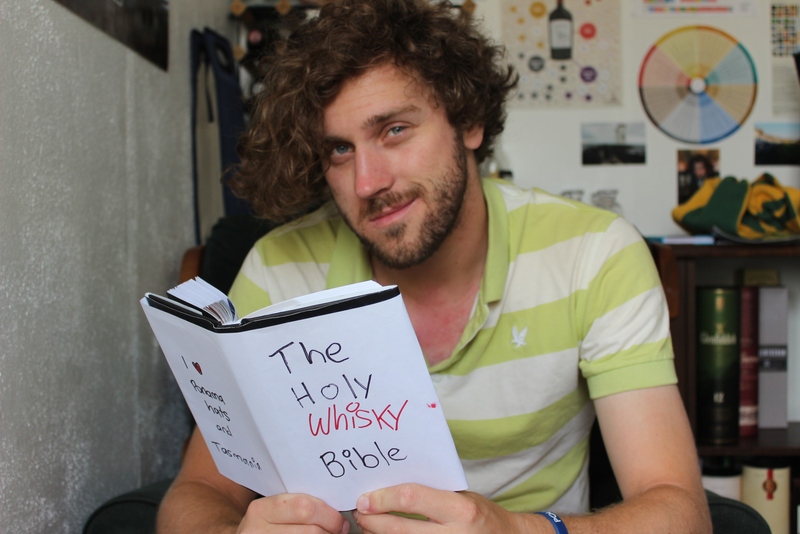 Appropriately titled: The Whisky Bible. 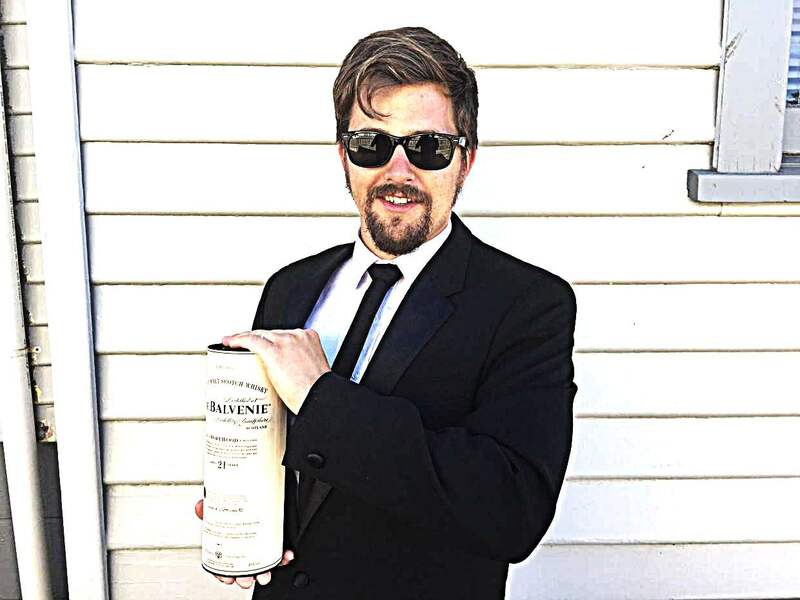 This man has tasted and rated over four thousand whiskies for his latest edition, and apart from having the best day job in the world, he also has a half decent palate. This, apparently, is enough justification for distilleries to go gaga when he attributes high scores to their products. Whiskies to which he deigns an award of 94 points or higher are granted the impressive-sounding moniker: ‘liquid gold’, not to be confused with Macallan Gold, which is another matter entirely (and one not nearly as impressive-sounding, despite what the PR guys at Macallan try and tell you). There are two points, however, that Jim Murray and I see eye to eye on. 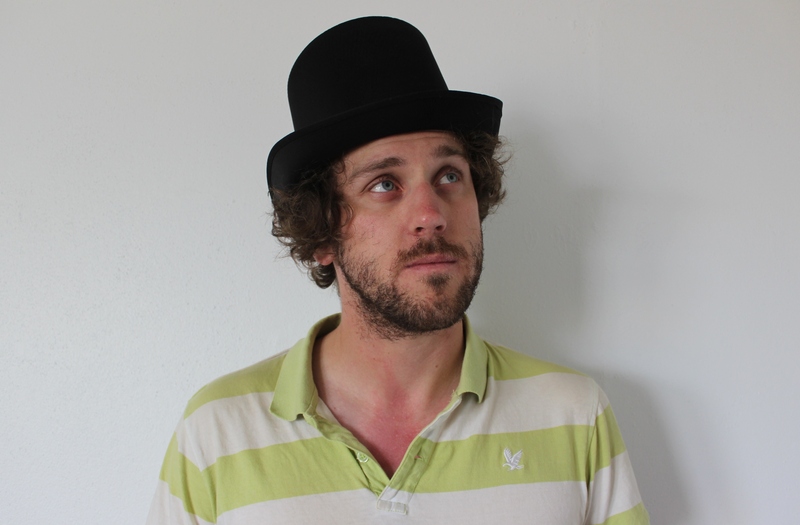 The first one is our love for trade-mark headwear which, while a fascinating discussion, is not relevant to the current article. 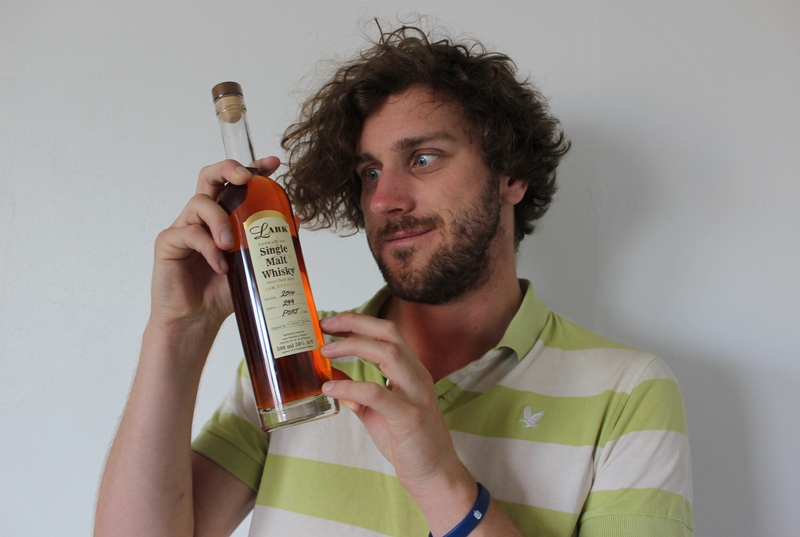 Our second is our love for whisky made in Tasmania. While I may have proved time and time again that I am slightly biased on the subject, Jim’s love is purely objective (with the possible exception of Nant). 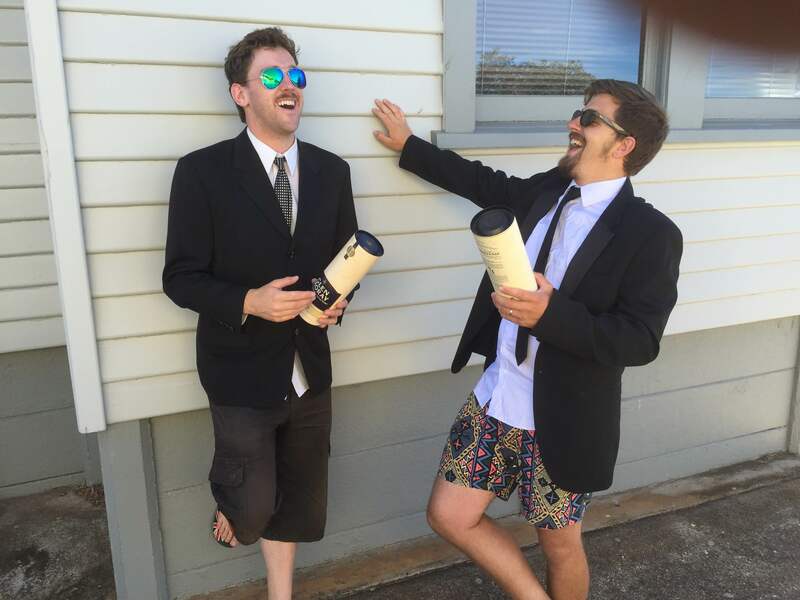 The Tasmanian distilleries who have produced liquid gold bottles for the 12th edition of the Whisky Bible are Lark and Sullivans Cove, and I offer them both my sincerest congratulations. Sullivans Cove received a score of 95.5 points for its American Oak bourbon cask release, until now the neglected younger brother of the coveted French Oak port cask. 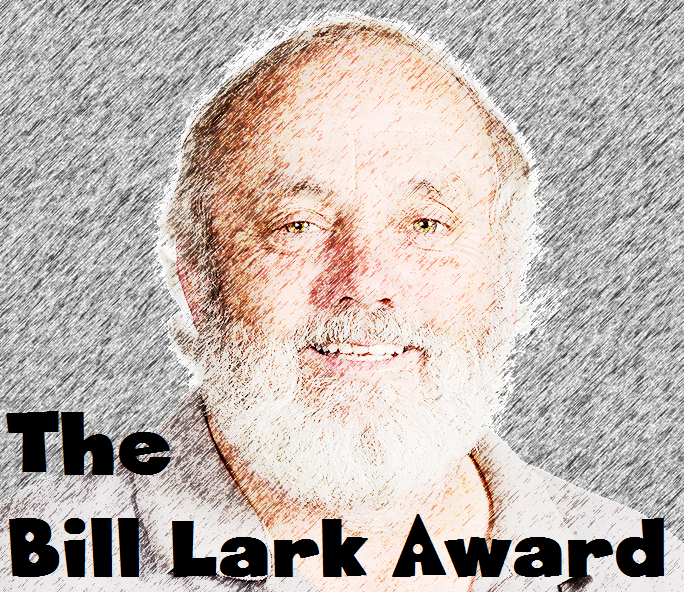 Lark received 94 points for its cask strength release, which makes me exceptionally happy, partly because it is a wonderfully deserving distillery and partly because I happen to own a bottle. Elsewhere in Australia the wonderfully obscure Limeburners distillery from Albany, Western Australia has also been awarded liquid gold status, due to both being a fantastic drop and to being from a region of the world where it can get hot enough to melt actual gold. These bottles join a number of Australian products to receive this honour. 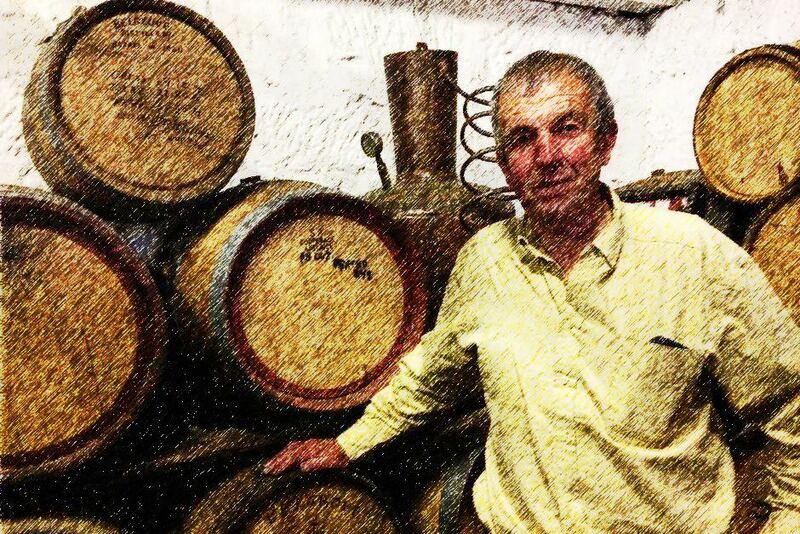 In Tasmanian alone Overeem, Heartwood and Nant, as well as other Sullivans Cove and Lark releases have been given the tip of the panama hat. And if this isn’t enough justification to my Scottish friend that this country makes a damn good dram then I don’t know what is. Hi Wafflers! 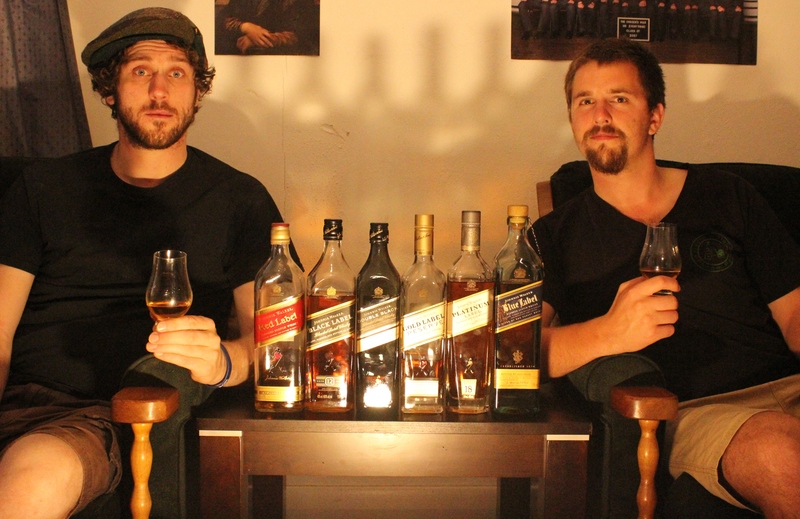 Johnnie Walker Week is officially over and we have emerged unscathed and wiser from the other side. Throughout the week we’ve gained an appreciation for blended Scotch whisky – and even more of an appreciation for single malts. All joking aside (and there were a few of them this week) Johnnie Walker has produced a formidable range of whiskies and we can understand why they are the most popular in the world, even if we respectfully disagree. 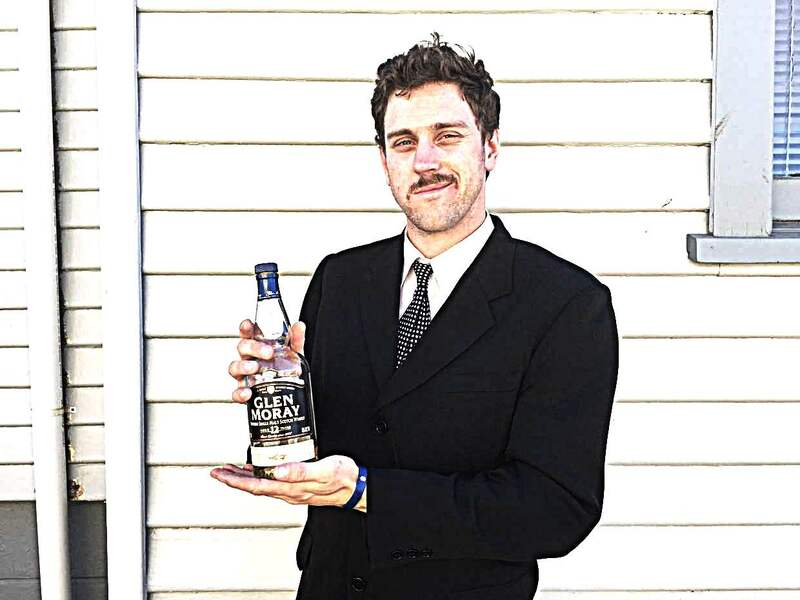 The Blue Label is excellent – but very expensive. And when you could buy a Balvenie 21 Year Old for the same price – why would you go for the blend? So there you have it. Whisky Waffle’s first ‘event week’ has concluded. 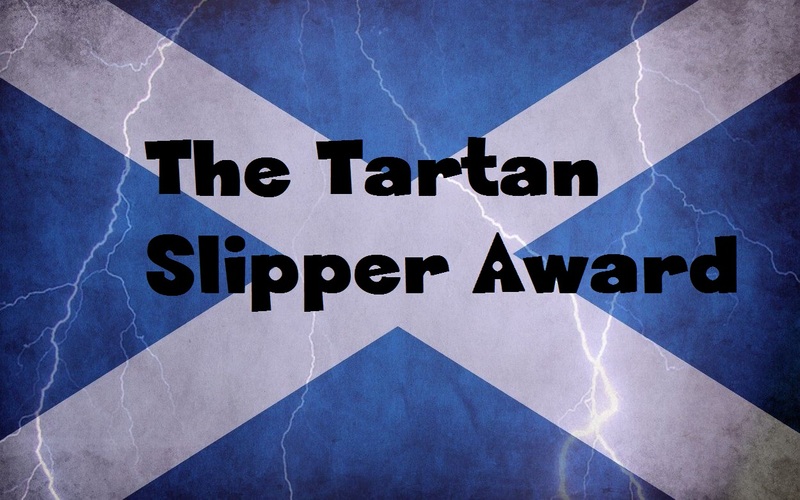 Thanks for checking it out and we hope you appreciated our ramblings and perhaps you have also broadened your whisky drinking horizons. 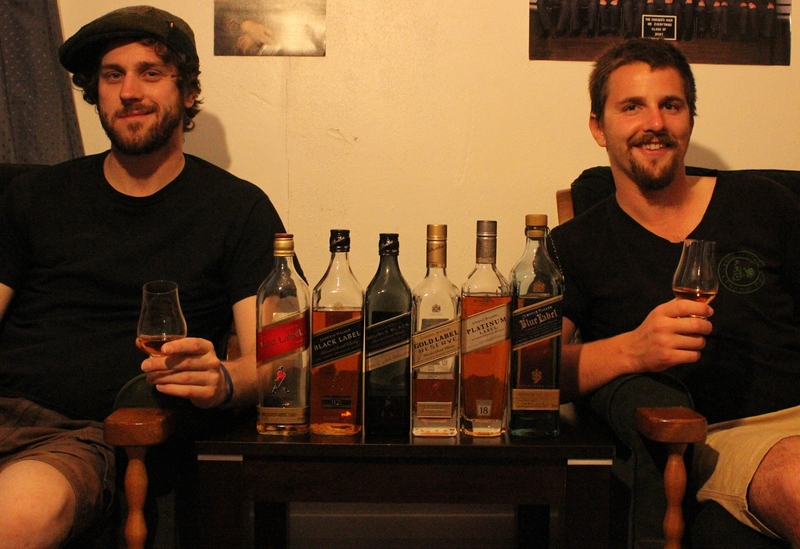 If anyone has their own opinions or rankings of the Johnnie Walker range, let us know in the comments! It is said that many years ago, three wise whisky tasters came from the east (probably Speyside) to bequeath fantastic gifts upon the saviour of blended whisky. The first wise man brought a very special present: gold. Specifically, Johnnie Walker Gold Label Reserve (the other two of course brought Johnnie Walker Frankincense Label and Johnnie Walker Myrrh Label). Somehow, as if by divine intervention, I found myself in possession of one of these relics: the Gold Label Reserve. Upon reverently pouring myself a dram, I heard a choir of angels singing joyous melodies. I then brought the vessel to my lips and drank. Confusion then hit me. Is this… it? Surely a bottle titled: ‘Gold Label Reserve’ should be a drop unlike any other! But no. 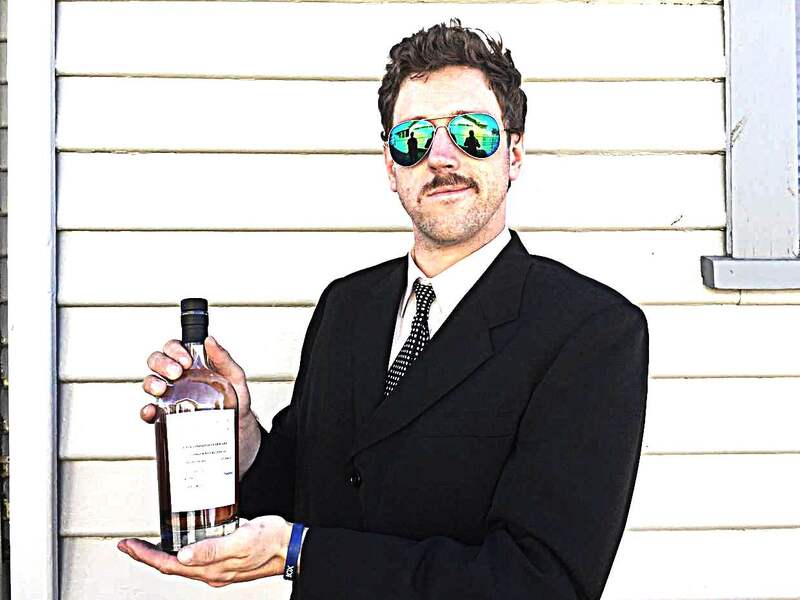 This whisky is not the messiah. It is a very naughty boy. In 2013, Johnnie Walker re-marketed a range of its products. The fan favourite Green Label was removed, a shiny new Platinum Label 18 Year Old was introduced, and the Gold Label was re-branded as Gold Label Reserve, in the process losing its age statement. In theory, the addition of the word ‘Reserve’ indicated a more esteemed and better tasting product. But in practice – they created a drop that was disappointingly unremarkable. There are traces of citrus on the nose, as well as cocoa and some herbal notes. The sweetness is there, but it is far more subtle than in lower tier Johnnie Walker releases. All of these elements are no more than the merest hint. However it’s well balanced as there is not a great deal of flavour to weigh up. The mouth feel is similarly unexciting. Candied chestnuts, orange peel and a small amount of spice come through, while the finish is short with only a faint dash of caramel lingering. The supposedly ‘trademark’ Johnnie Walker smoke disappears like the vivid details of a dream after you have awoken: vanishing rapidly, as if it had never been there in the first place. 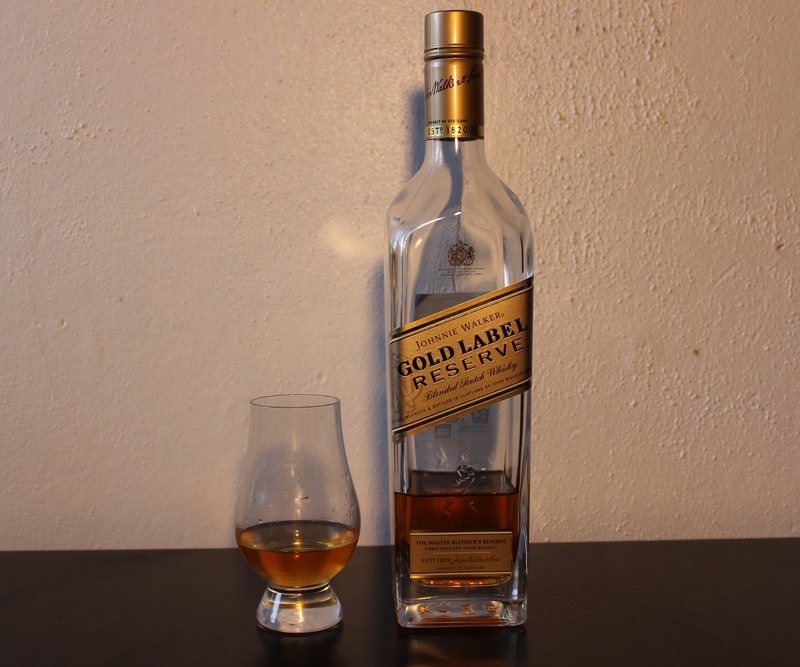 The Johnnie Walker Gold Label Reserve is a good blend, there is no doubt about that. No one flavour dominates the palate and it is unquestionably smoother than the lower tiered releases. It is simply unmemorable. In fact, it is borderline bland. If this was a less esteemed release I would, in all likelihood, applaud it. 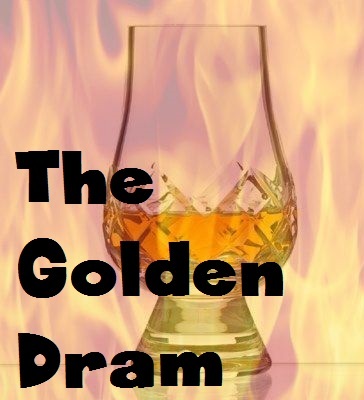 But for a whisky that calls itself ‘Gold Label’? Such a sin is simply unforgivable. 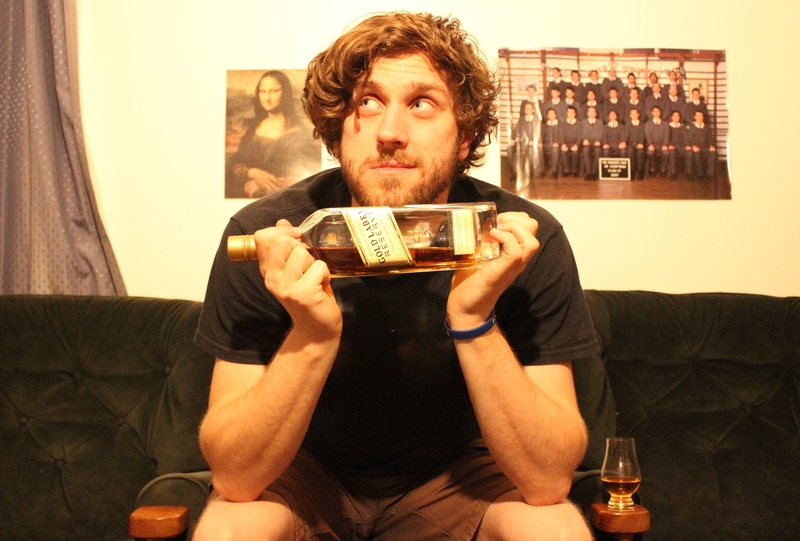 I like to consider myself somewhat clued up about whisky. Over my time I’ve had a dram or two. I dare to think of myself as an experienced whisky drinker. And I would like to believe that just maybe, I could tell a $200 bottle from one costing pocket change. But then there was one night. One terrible night. One awful night when everything I knew about whisky hung in the balance. I am referring to: Johnnies Night. 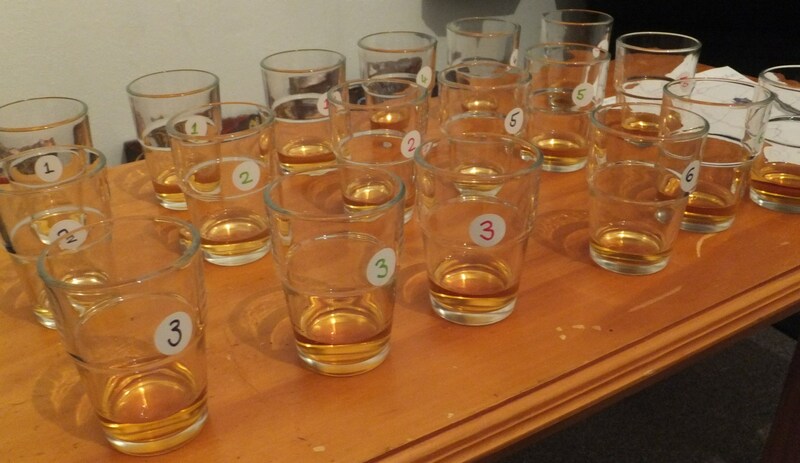 The task was simple – six expressions of Johnnie Walker: Red, Black, Double Black, Gold, Platinum and Blue, were to be blind tasted and we would predict which dram was which. Now, I say simple. This turned out to not be the case. 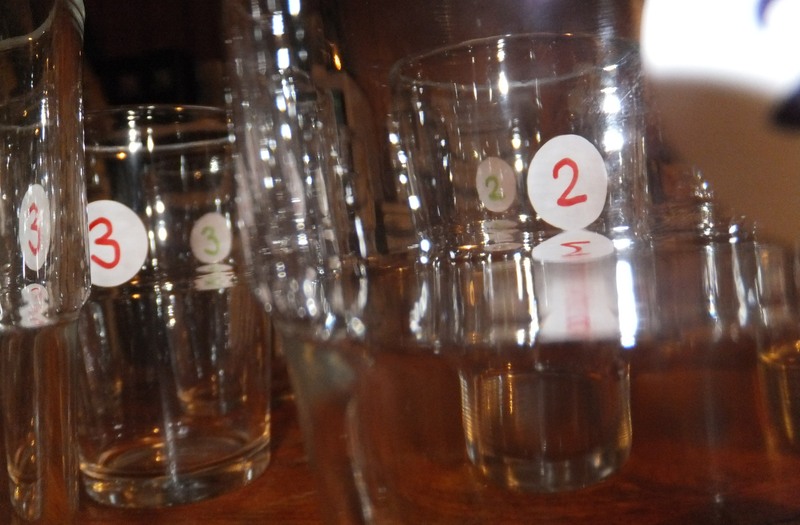 An artsy close up of our un-whisky friendly glassware. They have colour-coded tags, though! I’ll make the excuse here and now that we had never tried several of the expressions before – but this could not explain our poor showing when the results came in. I won’t go into the detailed statistics of the night, partly because it would make tedious reading, and partly because we are far too embarrassed to share them with the world. Suffice to say that we rated the blue far lower than it’s worth and overvalued the red label. 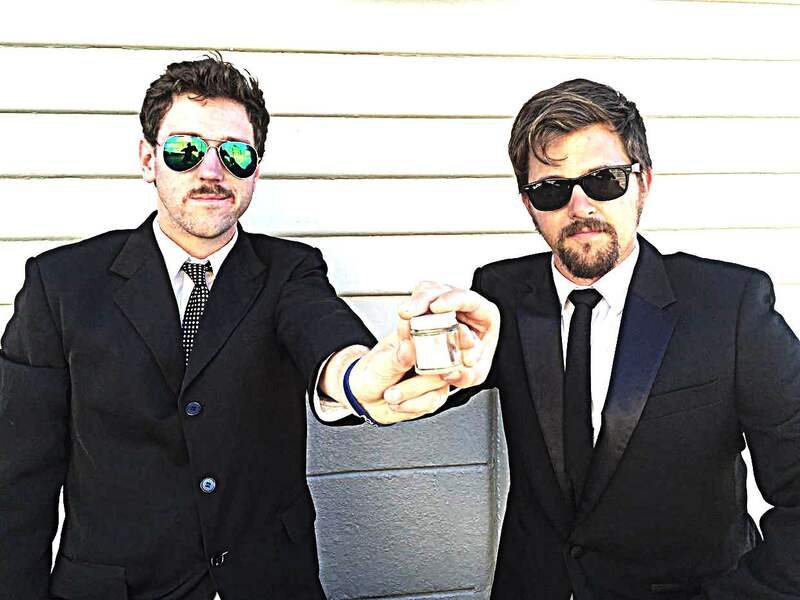 The Platinum and the Gold didn’t fare any better, while the Double Black proved popular. Maybe this says that we do not have as expensive taste as we claimed. Or perhaps it says we do not have as developed palates as we think. Eager to prove this latter fact wrong, Ted and I had a second attempt, this time correctly identifying the Red, Black and Double Black, but then mixing up the upper three. At the end of the night, we were confused, but not perturbed. It was the first blind tasting we had ever done, and we finished the night with a better understanding of blended whisky. The results had turned up the fact that the Gold and Platinum bottles did not appeal greatly to us, nor justify their price tags. The Blue Label was slightly better received, although embarrassingly, so was the Red. 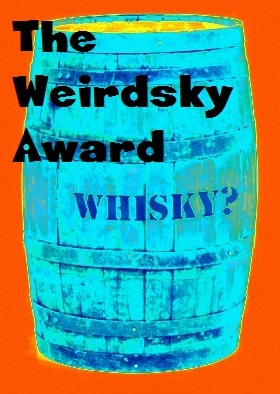 Finally, the biggest revelation of the night was our discovery of, in our opinion, the best Johnnie Walker expression. Ladies and Gentlemen, I give you some actual consumer advice. Taking into account flavour, value, personal preferences, and the level of inebriation we had reached at the conclusion of the night, we found the best bottle of Johnnie Walker colour expression to be the Double Black. That said, I’d take a bottle of Glenlivet any day.